When real estate agents say business from search engines we mostly think of Google. But do you know that now Bing has 20 percent market share from all searches done in the United States? This is huge business potential for your listings and this story is about Bing and Real Estate SEO. Yesterday Microsoft released its earnings and for the first time Bing is profitable. For those who don't know, Bing is Microsoft's search engine. Ad revenue from Bing contributed to more than $1 billion dollars to Microsoft's last quarter. Bing, which years ago started with a very modest search market share, has slowly grown its market share and now, according to comScore, Bing’s US market share is 20.7 percent. What does it mean for real estate agents? Now you can't ignore the traffic, potential leads and business that comes or may come from Bing. Real estate agents and people who have websites in the housing industry need to optimize their websites and writing style in such a way to meet Bing's known ranking factors in order to potentially rank higher in Bing's search results. Each search engine has its own algorithm to rank results. They are generally based on the same signals, but there are differences. These differences are enough to cause big rankings differences in search engine results. If Realtors or people in the mortgage, housing industries want their listings and offered-services rank better in search engine results, they need to know these ranking factors in order to improve their business visibility in search engine results. Here are few factors, suggested by Matthew Woodward that Bing takes into consideration when ranking your listings. Real estate agents and SEO specialists can also see Bing Webmaster Guidelines for more details on this subject. They cover a very broad range of Bing search and ranking related questions and are intended to help the content in your blog or website be found and indexed within Bing. For real estate agents and mortgage professionals the bottom line is this: you can't ignore Bing anymore because its search market share has grown to 20 percent in the United States. Your property listings can attract a lot of potential leads if your website and writing style optimized according to Bing's guidelines. 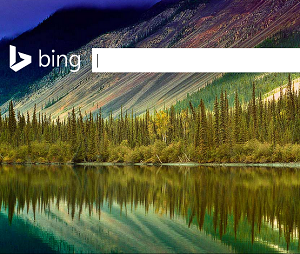 Have you ever received a lead that you knew came from Bing?